After The Washington Post published a report alleging that Alabama GOP Senate candidate Roy Moore had initiated sexual encounters with a then-14-year-old girl in 1979, when Moore was 32, several right-wing media figures jumped to his defense, attacking the accuser, asserting that “Roy Moore Did Nothing Wrong,” and demanding that media cover the supposed misdeeds of others instead. On Fox News, Ann Coulter defends Roy Moore dating teenagers: "We might find that a little creepy today, but this was nearly 50 years ago"
Last night, Republicans were walloped at the ballot box from coast to coast. Ralph Northam won the Virginia governorship for the Democrats, Phil Murphy took back the New Jersey governor’s seat after eight years of GOP control, and down-ballot races in both states look good for team blue. Voters in Maine approved a referendum expanding Medicaid in the state, while in Washington state, a Democratic victory in a key swing district should give the party total majority control of both houses on the state legislature along with the governorship. 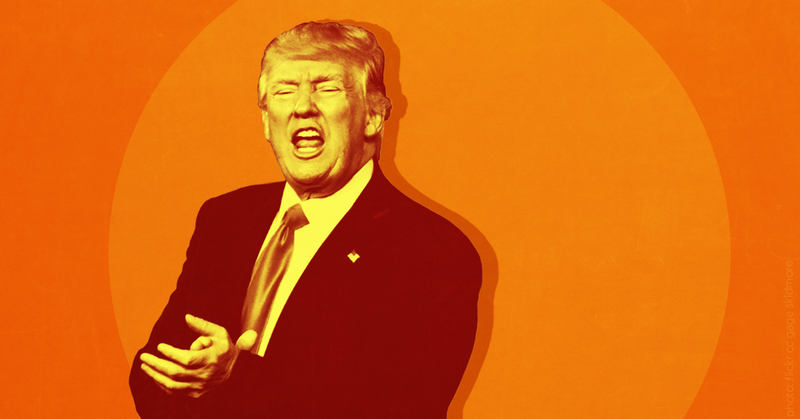 There’s no real secret to the nationwide Democratic victories: President Donald Trump is historically unpopular. His administration is shockingly corrupt, two of his top campaign aides were just indicted by a special counsel while a third aide pleaded guilty, his behavior is in turn grotesque, insulting, and authoritarian, most Americans hate his policy priorities, and he’s been unable to get them passed anyway. All this excited Democratic turnout and depressed Republican turnout. Here in the real world, the president is dragging down his party. But Trump’s media allies don’t live in the real world. And so, if you turned on Fox last night or this morning, you heard his sycophants saying that the lesson from last night’s Republican wipeout is that the party’s candidates need to hug Trump closer (Trump himself has made the same argument). When Trump’s friends at Fox weren’t blaming Republican candidates for insufficient fealty to the president, they were trying to ignore the news altogether. All Sean Hannity had to say about the results last night was that they did not come in “states Donald Trump won.” The Fox shows spent significant time talking about the president’s speech in North Korea, the dangers of progressive efforts to prevent gun violence, and the 2016 Democratic presidential nomination fight, as well as reminiscing over Trump’s election a year ago. The GOP is trapped. The party’s leader is historically unpopular among most Americans but remains popular among the base. And he’s still a hero to the right-wing media apparatus that party leaders count on to excite their voters every Election Day. Congressional elections are only a year away. Fox’s hosts are signaling that they plan to strap themselves to the mast of Trump’s sinking ship and ride it to the bottom of the ocean. Expect 12 more months of over-the-top coverage of Uranium One, NFL players who protest racial inequality, statues of Confederate heroes, and the perfidy of non-white immigrants and Muslims. The only question is whether the GOP’s candidates will follow along with their party’s communications arm and cleave to the president. If history is any guide, they will. Laura Ingraham to John Kelly: Why is Trump bringing in so many "Islamic" refugees? The network always backs the leading force in GOP politics. Right now, that’s Steve Bannon. 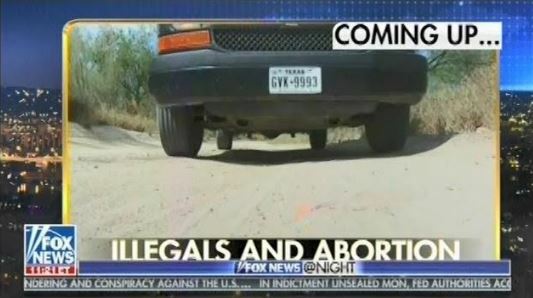 After President Barack Obama’s election in 2008, for example, Fox executives declared the network the “voice of opposition” and “the Alamo,” standing shoulder to shoulder with Republican leaders who refused to compromise with the new administration. The network’s new star was conspiracy theorist Glenn Beck, hired away from CNN; Hannity and Colmes became Hannity as the longtime progressive co-host, Alan Colmes, was removed from the program; former Republican vice presidential nominee Sarah Palin, who emerged from the election as a leader on the right, joined the team soon after she resigned as Alaska's governor; and Fox’s endless promotion turned the tea party into a GOP force. As the 2012 election approached, a group of candidates who had kept themselves in the spotlight as Fox contributors fought for the GOP nomination on the network’s airwaves. When former Gov. Mitt Romney won, the network rallied around him as he pushed attacks on Obama ripped from Fox, stocked his campaign with network staffers, and picked the then-network hero Rep. Paul Ryan (R-WI) as his running mate. Ingraham, the newest member of the lineup, shares many of the Breitbartian attributes of her colleagues, combining Hannity’s loyalty to the president and disdain for establishment Republicans and Carlson’s fixation on the perils of immigration and diversity. What she adds is Breitbart’s interest in trying to directly shape the Republican Party by pushing out officeholders considered insufficiently loyal to the president and his agenda. Indeed, Ingraham teamed up with Bannon to back a primary challenger to Sen. Jeff Flake (R-AZ) earlier this month. Her show will likely end up featuring a parade of anti-establishment politicians seeking her support. Conservative radio host Laura Ingraham, whose prime-time Fox News program debuts in two weeks, will headline a kickoff event tonight for Arizona state Sen. Kelli Ward’s insurgent primary campaign against Sen. Jeff Flake (R-AZ), a critic of President Donald Trump. A ticket to the general reception at the Hilton Scottsdale Report will cost you a $75 donation to Ward’s campaign (you’ll also get a free copy of Ingraham’s new book with admission). But attendees willing to shell out $2,700 will get access to a VIP reception, a signed copy of the book, a photo with the candidate and the radio host, and a shout-out at the event. It’s almost quaint to point out that this sort of openly partisan behavior, relatively normal for a Fox personality, wouldn’t come close to passing muster at any other network. But let’s set that aside for a moment and consider just how screwed the GOP’s leaders may be. The GOP establishment -- including Senate Majority Leader Mitch McConnell (R-KY) -- is lining up behind Flake. When Ward ran against Sen. John McCain (R-AZ) in the 2016 GOP primary, she had the help of the most conspiratorial wing of the right-wing press but few resources. She’s undoubtedly hoping that support this time around from prominent pro-Trump media figures like Ingraham and her colleague Sean Hannity will bring enough exposure to carry the day. Ward will not be alone. The Republican electorate is angry that the party’s promises have yet to materialize. Former White House chief strategist Steve Bannon is trying to channel that rage into far-right primary challenges against half a dozen Republican senators, using the resources of his benefactors the Mercers and the editorial staff of Breitbart.com. Bannon wants McConnell out as majority leader and senators he considers insufficiently loyal to the president out of office. McConnell’s allies have largely laughed off Bannon’s influence, but no one can ignore the power Fox holds over the GOP electorate. Ingraham’s fundraising jaunt for Ward could mark the beginning of a nightmare scenario for McConnell: Fox hosts using their shows to promote primary challengers to their audience of millions and shape the future of the party. If Ingraham, Hannity, and others at Fox use the network’s airwaves to attack Republican senators, host and praise their challengers, and urge their viewers to get behind candidates like Ward, they could pull off a GOP purge that would reshape the party in Trump’s image for a generation. The mechanism is in place; it just needs to be re-aimed. For decades, Fox has served as the communications arm of the Republican Party. The network is an incubator for GOP talking points, a steady paycheck for former and current party officials, a launching pad for right-wing movements, and the battleground for the party’s presidential primaries. It’s also proved to be a welcoming environment for the party’s candidates to field pillow-soft questions, flog their campaign websites, and ask the Fox audience for donations. Fox has more credibility with GOP activists and voters than virtually anyone except for Trump himself. And while Trump’s election gave the GOP unified control of all the levels of government, the party’s failure to pass key legislation and provide sufficiently unceasing support for the president has led to the possibility that the network’s power will soon be turned against Republican leaders. Ingraham’s ascension to Fox’s prime-time lineup gives the insurgent effort a big boost. Panel shows like The Five don’t provide a venue for Republican candidates to promote themselves, while other hosts like Tucker Carlson and his predecessor Bill O’Reilly focus primarily on the culture war, not intraparty fights. Ingraham, by contrast, is keenly interested in Republican Party politics and willing to throw elbows. She regularly uses her platforms to interview, promote, and endorse Republican politicians, she spoke at the 2016 Republican National Convention, and, as in the case of Ward, she raises money for GOP causes. After championing Trump’s presidential run, Ingraham came up short on her bid to become White House press secretary, then considered her own run for Senate. But the cancellation of Fox host Eric Bolling’s show following reports that he had sexually harassed colleagues opened up room in the network schedule for Ingraham, a longtime Fox contributor, to get her own prime-time program. Now she has a new opportunity to try to repeat the Brat insurgency on a bigger stage. “It’s time for a new generation of conservatives,” Ingraham said on Fox last week. “We've tried the establishment Republican things -- it hasn't won since 2004 nationally. 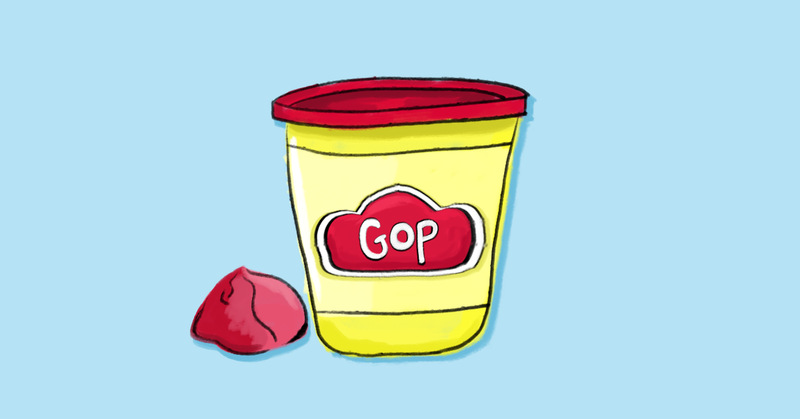 So that -- the Bush GOP -- is over. I mean, they might not know it yet, but it's over." That means senators like Flake are out, and candidates like Ward -- whom Ingraham endorsed in August as “a stalwart supporter of this president” -- are in. Some conservatives warned in 2016, after Fox’s heavy promotion of Trump helped him vanquish the field of primary candidates, that right-wing media’s power had become too great, creating an echo chamber that divorced the party’s voters from reality. 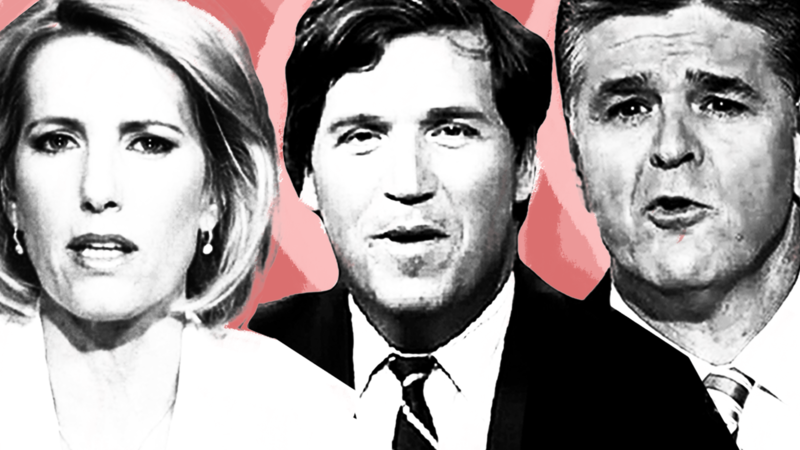 According to these critics, the movement’s leading media players, -- especially Fox hosts like Hannity -- were more interested in their own bombast and bottom lines than in growing a responsible, sane political movement. Some hoped that a Trump defeat in the general election would lead to a reckoning that would diminish their influence. But Trump won, and the Hannitys and Ingrahams are more powerful than ever. And if they start using the power of the Fox megaphone to target Republican senators, they’ll be shaping the GOP like never before. 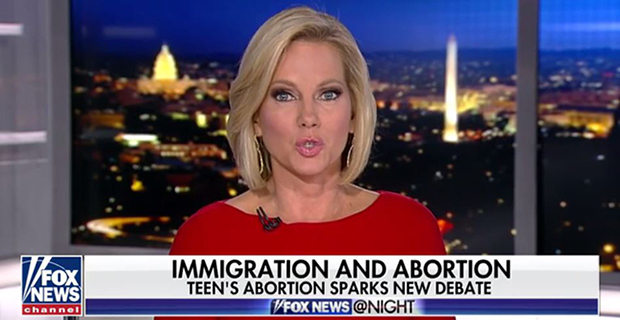 Fox News has hired Laura Ingraham to join their prime-time line up despite her long history of extremely offensive anti-immigrant, racist, sexist, anti-LGBT commentary.